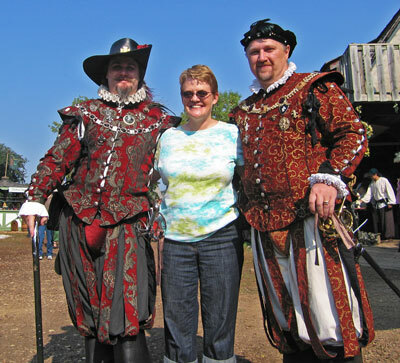 September 5, 2009: Mark and Paula attended the annual Renaissance Festival just south of Minneapolis and St. Paul in Minnesota. 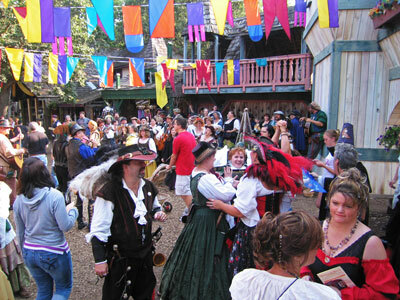 This medieval festival is about 150 miles south of Gilbert Lodge. 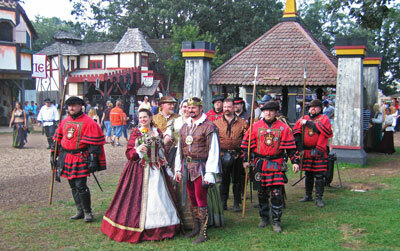 The king and queen were there to greet visitors and show their royalty. 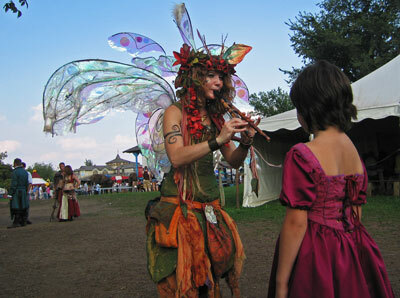 There was even a fairy to play songs on a flute to the delight of guests. Paula was treated well by the local men. 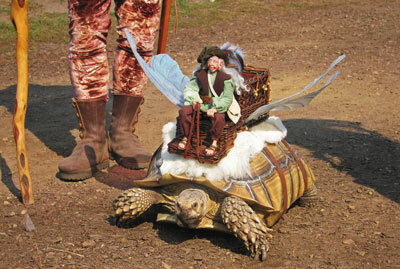 Even a tortoise was on hand to show off. 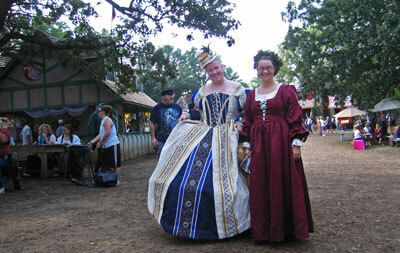 Ladies were everywhere in period costume. 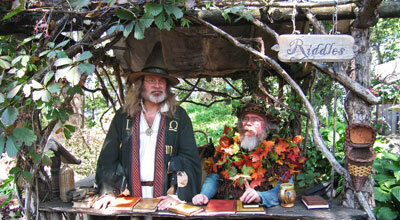 A couple of riddle tellers were on hand to astound the audience. Great stuff. 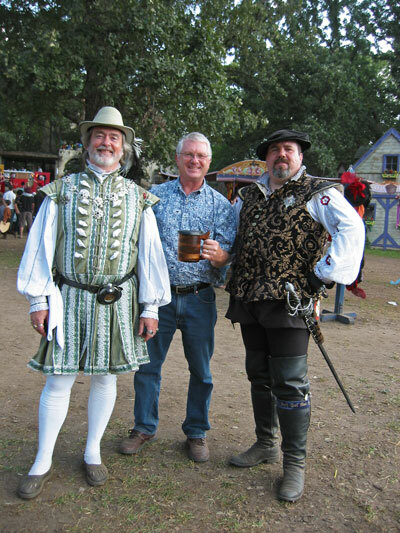 Mark was out having a great time with the local merry men. 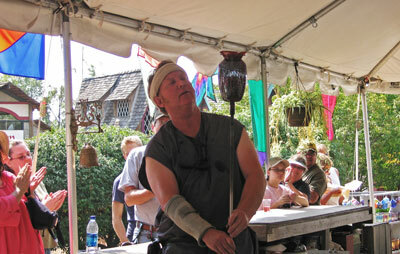 A glass blower showed his skills to hundreds who watched in amazement. 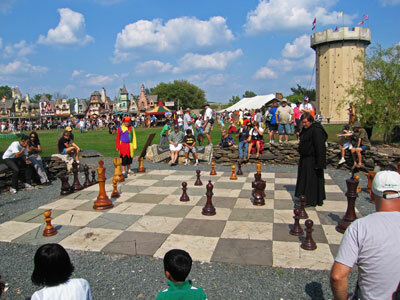 A huge chess board was setup to challenge those so inclined. 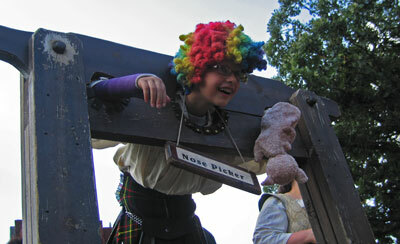 What renaissance festival would be complete without a stockade for those who misbehave?